Dr. Elana Maryles Sztokman is an award-winning author, and leading Jewish feminist thinker, educator and activist specializing in gender in society. She writes and speaks all around the world about gender issues in Jewish life, in education, in politics, in communal life, in business, in culture, in Israel and in societies around the world. She has worked with communities, organizations and individuals around the world on advancing gender inclusion and gender equity In She was the 2016 Scholar-in-Residence for National Council of Jewish Women, Australia. From 2012-2014 she was the Executive Director of JOFA, the Jewish Orthodox Feminist AllianceFrom 2014-2017 she was the Board Chair of El Halev, the feminist organization building safer communuties through self-defense and women's martial arts. In August 2015, she founded The Center for Jewish Feminism to provide resources and connections among Jewish feminists around the world. She is currently a rabbinical student at Hebrew Union College, Jerusalem; the Vice Chair for Media and Publicity of Demorats-Abroad, Israel; on the Advisory Board of the Hadassah-Brandeis Institute; and the founder of Leviah Press, a book publishing company in formation that creates amazing books by amazing women. More on this to come. Elana holds a doctorate in education and sociology/anthropoligy with a specialty in gender from Hebrew University of Jerusalem, and wrote her dissertation on the identity development of adolescent religious girls in school. She went on to do post-doctoral research, thanks to a grant from the Hadassah Brandeis Institute, on the "other" side of the partition so to speak, i.e., on identities of Orthodox men. This research became the book, The Men's Section: Orthodox Jewish Men in an Egalitarian World, (Hadassah Brandeis Institute, UPNE, 2011) which won the 2012 National Jewish Book Council award in the area of Women's Studies. Elana's second book, Educating in the Divine Image: Gender Issues in Orthodox Jewish Day Schools, co-authored with Dr Chaya Rosenfeld Gorsetman, released in October 2013 (Hadassah Brandeis Institute, UPNE), won the National Jewish Book Council Award in the area of education and identity. Elana's third book The War on Women in Israel: How religious radicalism is smothering the voice of a nation, was released by Sourcebooks in Sept 2014 to great acclaim. Elana writes regularly about feminist issues in Judaism in many forums: The Atlantic, Slate, Everyday Feminism, The Forward, Haaretz, The Jerusalem Post, Lilith, The Australian Jewish News, tTe Jewish Chronicla, JOFA Journal, Jewish Educational Leadership, and more. She has also written book chapters, book reviews, and academic articles. Elana has also taught these subjects in institutes of higher education:the Florence Melton Adult Mini-school in Melbourne, Australia, the Schechter Institute for Jewish Studies, the Efrata Teacher Training College, the Bar Ilan University Gender Studies Department, and Young Judea. Her Master's Degree is in Jewish Education from Hebrew University, and her BA is from Barnard College, where she majored in political science and received a New York State teaching certificate in high school social studies. Elana started her career as a teacher, and eventually segued into Jewish organization life, as one of the founders of Mavoi Satum, helping agunot (chained women) in Israel, and for a bunch of other organizations. Elana also ran her own writing and consulting business for many years, Spirit Consulting, providing marketing and fundraising writing primarily (but not only) for not-for-profit organizations. 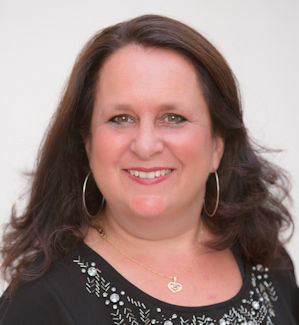 Originally from Brooklyn, New York, and a graduate of the Yeshivah of Flatbush, Elana moved to Israel in 1993 and today lives in Modi'in, Israel with her ever-supportive spouse Jacob and their children.